I wasn't kidding when I said I took over 1,000+ pictures of my Korea travels. The posts and pics just keep on coming. I've received a couple of emails now from readers asking (and a little confused) on whether or not I actually live in Korea. The answer is no...for now. While I live in the states, Arizona specifically, I only visit Korea during the summers. Why you may ask? Because I have friends, family, and more friends that I like to go see and visit. Plus, Korea is beautiful! I love everything about it, and I could spend the rest of my life eating nothing but their street food. 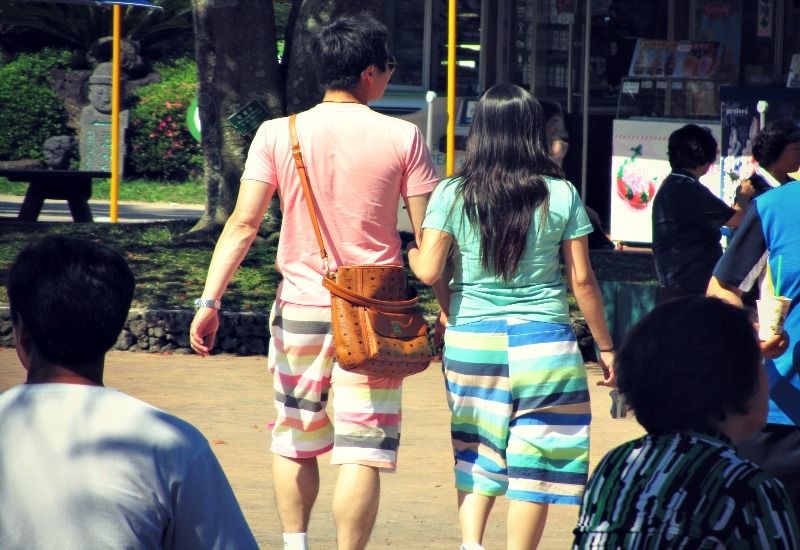 How cute is this matching couples outfit? I feel like the colors should be switched, but hey, this is Korea we're talking about. Anything goes and can pass with their fashion. Kudos. Now on to MCM bags. This brand is very popular in Korea, especially Seoul. 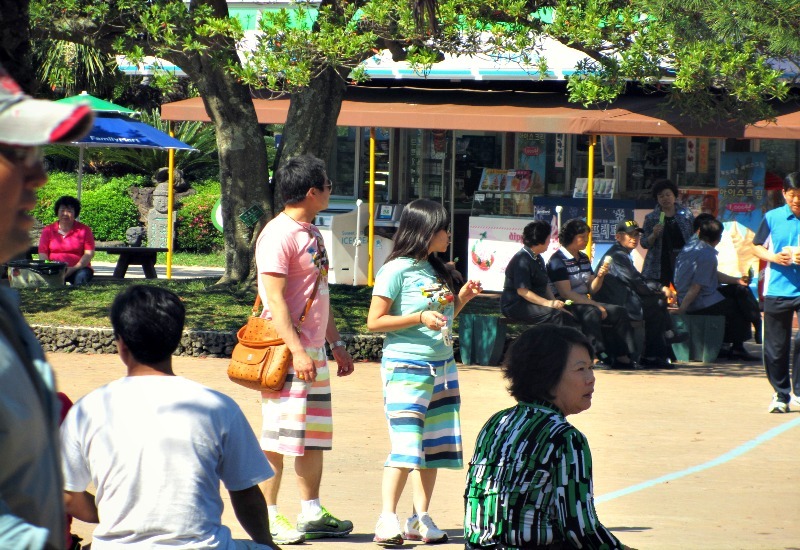 The common style worn by women are the backbags and large tote bags, mostly in the distinctive tan color. 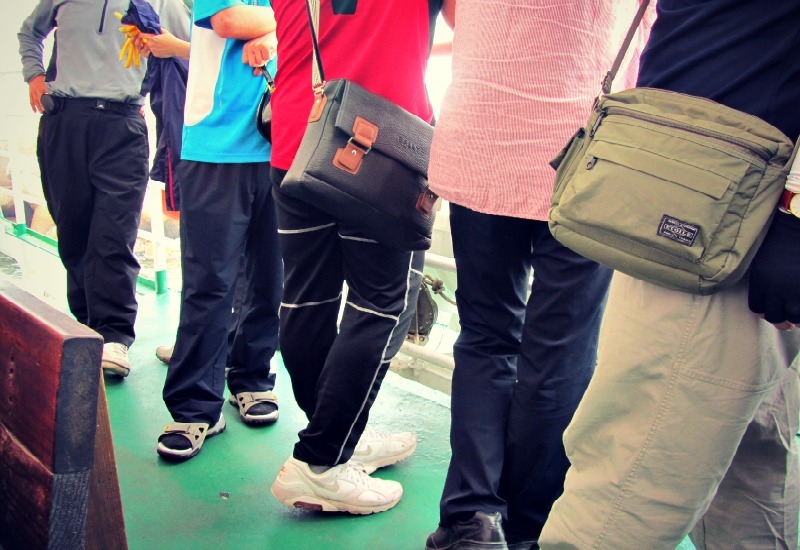 A few wristlets can also be seen here and there sprinkled in with some satchels worn by the men. While MCM is carried in select Bloomingdales and Saks Fifth Avenue department stores here in the states, the variety in style was very much refreshing to see in Korea. Fuzzy crappy shot, I know. But they were walking so fast and my non dslr camera just couldn't snap a better pic without making it look too obvious. I like that, they're comfortable with carrying bags like that! I still have yet to understand how guys here fit all their belongings in their pockets, I'll never solve that mystery. Korea looks so cool I really want to go some day. I love Korean food, it's probably my favorite of all asian cuisine! whoa! one thousand pictures? wow! haha! It looks like such an amazing trip! I also love the MCM bags, too bad I need to get family to buy it for me when the visit me in Sydney. Great post! Way to catch fashion in action! Thank you for your kind comment. I'm your newest follower. Hope you'll do the same. Hah, cute. I'd like to go there some day. Oh how I miss Korea!! I love people who love Korea, therefore I love you too :) Sorry if I come off as a total creeper, I totally am not one (or am I?) 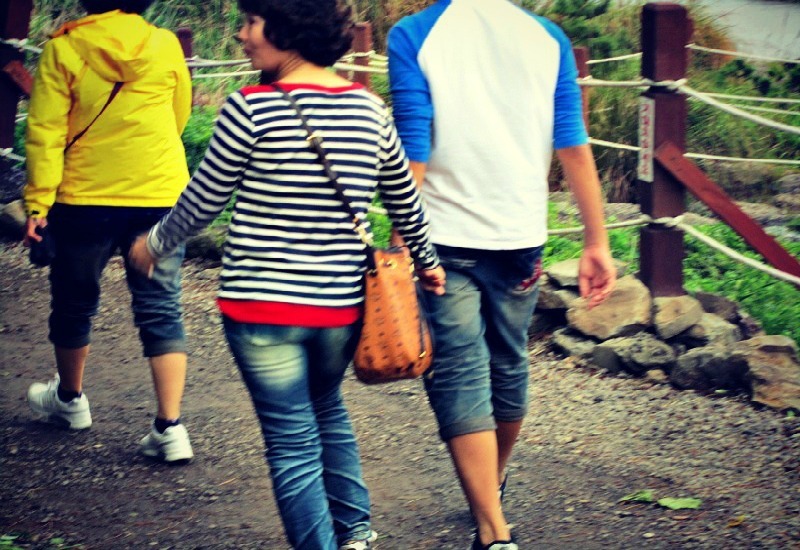 XD I looove how cute Korean couples are :)) I shall now go stalk your older posts for more pictures from Korea, haha.